Can you believe it’s already May? This means mother’s day is around the corner. I know lots of people say it’s become such a commercial thing with mother’s day, but you know, if it takes a commercial focus to get us thinking and getting around to thanking and appreciating our mothers’ tireless efforts, then I’m more than happy to follow this particular commercialised event. Some may already know what they need to get their mothers, but for the rest of us stuck on ideas, my one advice is think gifts that are PAMPERING! Don’t rush out to get her more kitchen gadgets or boring appliances (unless she specifically asks for it) to help around the home. Think indulgence and pampering because mothers often don’t get or take the time out to indulge or pamper themselves. Being a beauty aficionado, I’m going to be biased and suggest a few amazing beauty products – all geared towards making mum feel special and pampered. And as always, there’s gift ideas to cater for all budgets. Let mum enter the world of sweet jasmine and vanilla musk with this deluxe Marshmallow soy candle that also has notes of roses and cotton candy sweetness. 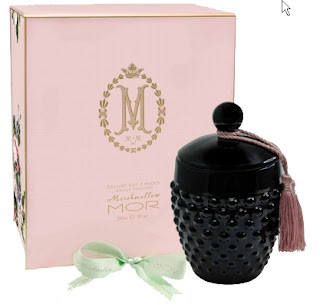 With over 60 hours of burn time, she will get many evenings of enjoying this exquisite candle housed in an ornate ceramic candle holder that can be re-used to store bits-and-bobs afterwards.Presented in a beautiful bowed tied box - how can she resist? Available in Myer, David Jones and MOR online. For the mum who likes a sophisticated twist, the sparkling notes of violets is infused with delicate roses and sweetness of blackberries. But the watch out for the lingering spicy green notes of patchouli, cypress and cedar that creates a sophisticated blend of pretty perfection. Available in David Jones, Myer and selected pharmacies. If your mum loves her classic, then you can’t go wrong with giving her the Beautiful set – with a burst of roses mandarin and lily scents, she will feel feminine whilst being enveloped by mid notes of Jasmine, Ylang-Ylang and orange flowers that lingers and with a sandalwood velvetier base. 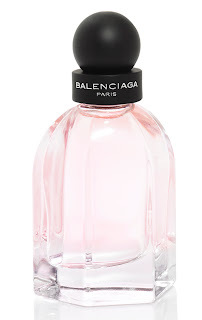 A great value when the 75ml comes with a perfumed body lotion and Bath and shower Gelee (also 75ml each) to make the scent lasts even longer and is valued at over $179. 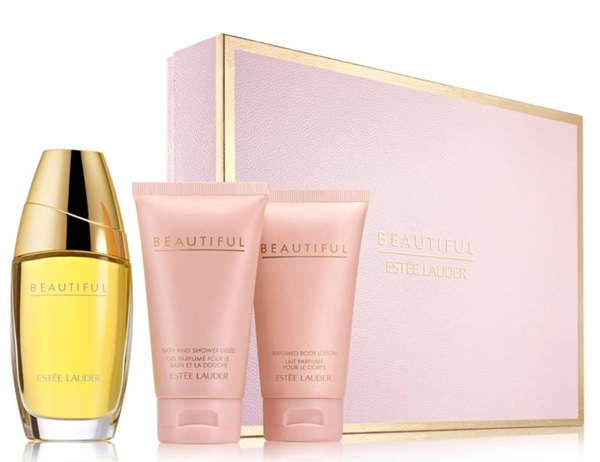 Available in Myer, David Jones and Estee Lauder online. For mums with more exotic preferences– this heady juice starts up with an inviting blend of hoya carnosa flower, laced with the sweetness of honey and almonds but shows a warm dark cacao and sensual heart of patchouli that is sure to please all discerning tastes. Available exclusively at David Jones stores. This latest gadget from looks like it could be a clone for the much pricier Clarisonic Plus facial brush with the same benefits of sonic technology and providing 6x the efficiency of manual cleansing. Not only that, just in time for Mothers day, you will get a Cellugen skincare pack valued at over $265 that you can gift to mum or keep yourself - what an amazing bonus! Skin Physics available at Myer stores. Natio’s Orange Blossom Home Spa range Get a whiff of orange blossom in full bloom with Natio’s latest body care Spa range in Orange Blossom. 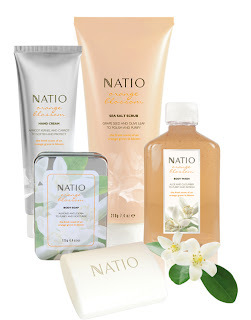 From body wash to lotions to hand creams, the tangy citrus floral and fresh neroli scent is sure to be a hit to mums with prices ranging from 8.95 for the hand wash to $18.95 for the sea salt scrub. 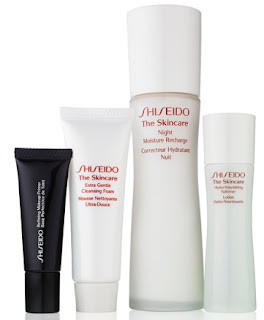 My pick – try the hand cream ($9.95) and body butter ($16.95). 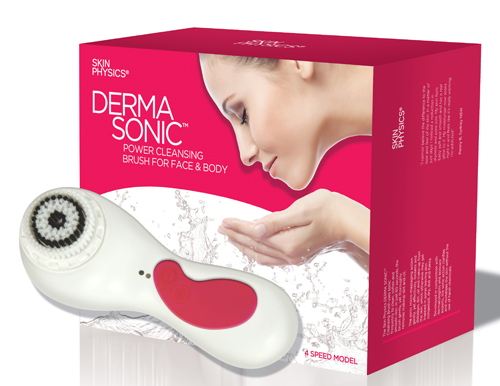 Available in Myer, David Jones and selected pharmacies from 6th May 2013. 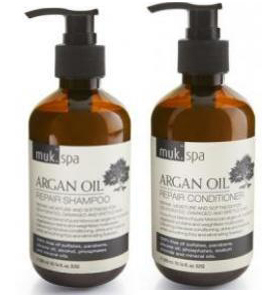 By far my favourite hair care product this year, this shampoo and conditioner set will give soft luscious silky manes to the most unruly hair, not only that, it is effective yet gentle, it's also free from parabens and sulphates. Mum will feel like she just stepped out of the hair dressers every time with its use with her transformed into shiny locks full of volume and body without the frizz. 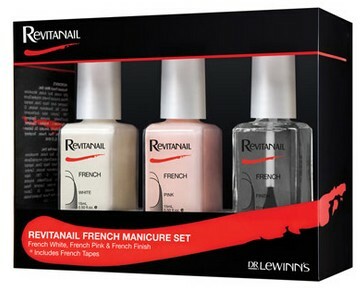 Available at MUK salons. Call 1300 768 264 for stocklists. if mums been through stress lately, and showing the signs she’s appreciate this intensive serum with concentrated dose of idebenone, atrazine and thoitaine to protect against free radical damage and give skin improve the appearance of fine lines, wrinkles and whilst boosting skin firmess and skin lumiousity. 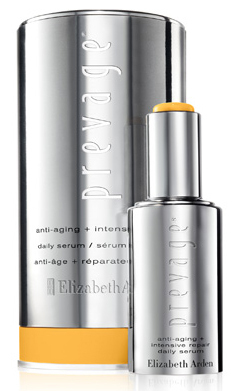 Available at Elizabeth Arden counters. Infused with SK-II's piteria essence, this set contains a full size 50g Stempower cream that promises to increase firmness and improve texture in 10 days. The set also contains travel size of its famous Facial Treatment Gentle Cleanser 20g, Facial Treatment Essence 75ml, and a Facial Treatment Mask and is valued at $280. 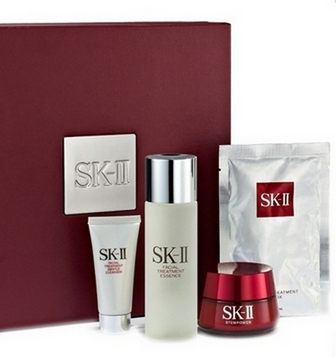 Available at all SK-II counters and Adorebeauty online. 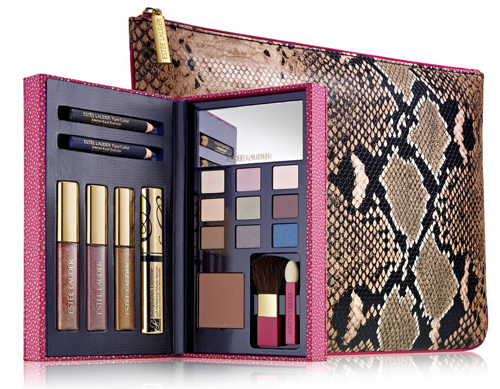 Let your mum master the art of glam with this limited edition makeup set containing superb products with incredible value containing Shimmering palette of 9 eyeshadows, bronzer, 3 Glosses, the Sumptuous Extreme Mascara and 2 Pure Color Intense Eyeliners in a deluxe makeup bag with tip cards that help her create looks that shimmer day and night.Available at Estee Lauder Counters or online. The essential to creating glamourous statement eyes. 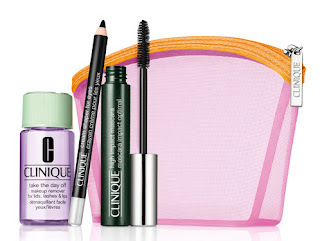 Includes quickliner for eyes, mascara both in intense black, Take off the Day makeup remover in a cute little mesh beauty bag. 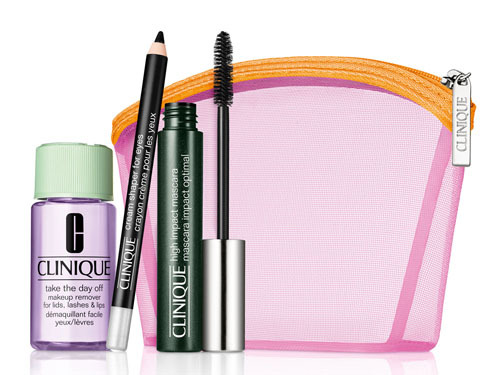 Available at Clinique counters. Opulent and luxuriously creamy, which mum doesn’t want a Tom ford lippy to add to their collection? The pigments and shades deliver unparallel wear and colour sophistication – there’s bound to be a beautiful shade that would suit mums everywhere. Available in City David Jones stores. For the classic manicured nails, mum will love this pretty and budget friend manicure set. Available at Priceline and selected pharmacies. I hope this selection has inspired you. If not, take a look at all the catalogs that have already started flying into your inboxes - there's bound to be something that will tickle your mum's fancy. As long as you remember to give her something that pampering in mind, she'll love it because it came from you! Product marked * were provided for editorial consideration.